Neymar was handed a one-match ban on Thursday after being sent off in PSG’s explosive 2-2 draw at bitter rivals Marseille at the weekend. The Brazilian forward will miss Friday’s Ligue 1 visit from Mario Balotelli’s Nice. Neymar grabbed a brilliant equaliser in a fiery encounter at Marseille Sunday before his side went down 2-1 with ten minutes to go. 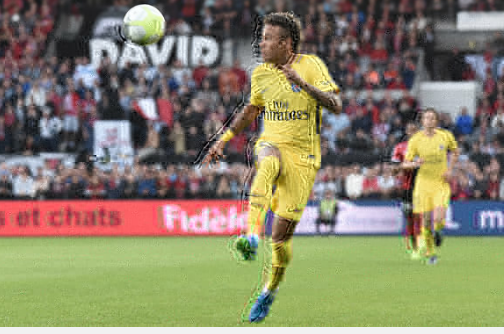 Leading the chase for another equaliser, Neymar appeared to lose his cool, picking up two yellows in quick succession for retaliation. His teammate Edinson Cavani levelled with a dramatic injury-time free-kick to save a point for the Ligue 1 leaders. PSG coach Unai Emery has told his 25-year-old star to wise up to provocation tactics. “He is intelligent. He is also aware that he must learn from what happened on Sunday,” said Emery. The 222 million-euro ($264 million) Brazilian has scored 10 goals in 11 games since his move from Barcelona. Neymar was also given a further one-match suspended ban that will be activated should he be sent off again this season. Are you over 100? Then you've got a better chance of living even longer! It’s considered an inescapable fact of life: the older you get, the more likely death becomes. But a new research conucted in Germany disproves of that suggestinh that the chances of dying may level off – at least for those who make it to 105 years old. Fashion company Michael Kors is buying Versace, the Italian luxury brand founded by Gianni Versace in 1978, for $2.12 billion. The two fashion houses made the announcement Tuesday, one day after speculation spread about a potential deal.Donatella Versace, the artistic director of the Milan-based fashion house who helped lead the company after her brother's death in 1997, said it's the perfect time for the company to join with Michael Kors. "It has been more than 20 years since I took over the company along with my brother Santo and daughter Allegra," Donatella Versace said in a news release. "I am proud that Versace remains very strong in both fashion and modern culture."